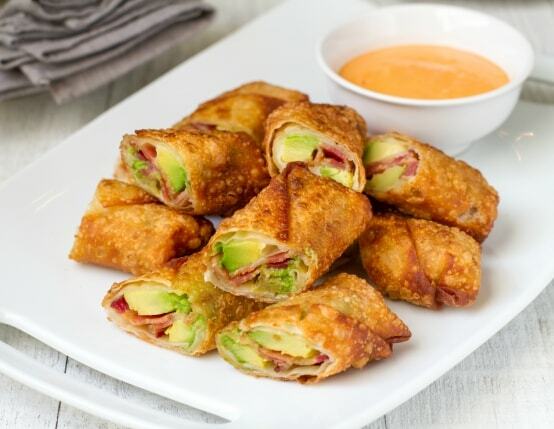 Perfect for appetizers or even lunches, this twist on a takeout staple features fan favorites – avocado and bacon. Slice avocados and drizzle with lime juice. Heat oil on medium heat in large frying pan. While oil heats, prepare egg rolls. Place one egg roll wrapper on work surface. Lay slice of cheese in middle, top with one slice avocado, one full slice bacon (two half slices) and another slice avocado. Fold corner over, tucking under ingredients. Fold in side corners and roll to opposite corner. To seal, wet edges with water and press firmly. Repeat with remaining egg roll wrappers. Deep fry egg rolls in batches until golden brown, approximately 3 to 5 minutes. Remove from oil to paper towel lined plate to drain and cool. 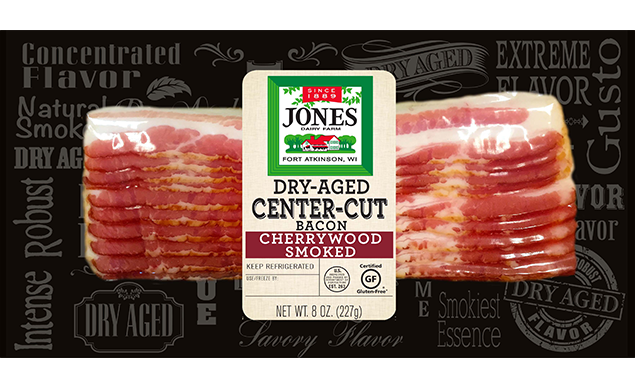 Serve whole or cut in half at an angle.